3 weeks after the worst kept secret was revealed, the rest of the secret has come out. 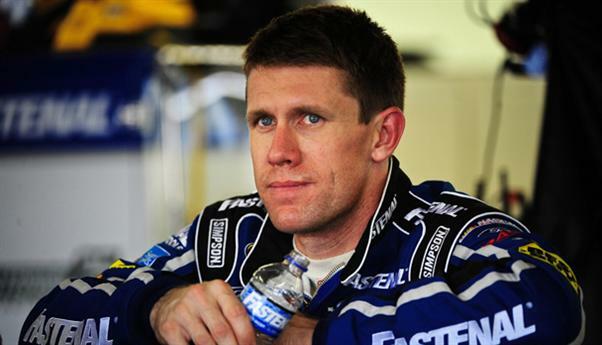 Carl Edwards, who is leaving Roush-Fenway Racing after the 2014 NASCAR Sprint Cup season, will race for Joe Gibbs Racing in 2015. Edwards will drive for a new fourth team at JGR and will join a driver stable that includes Kyle Busch, Denny Hamlin, and Matt Kenseth. His new sponsor and number? Check after the jump for that big reveal. Arris group, a video and broadband technology company, will sponsor Edwards for 17 races next season. No other sponsor was announced on Tuesday morning. Edwards’ new number? Number 19. JGR also announced that Arris will sponsor Mexican driver Daniel Suarez for a full Nationwide Series schedule and a partial truck schedule. JGR will partner with Escuderia Telmex and Arris to run drivers in the NASCAR Toyota Series in Mexico.